By 2020, 50 billion smart devices are expected to be in use. 5G will help support the massive growth in the Internet of Things and enable devices to communicate with each other seamlessly through the convergence of center. 5G networks will also diffuse intelligence across the entire network, from the device to the data center. Using a fast wireless connection to cloud computing and data services, and to other connected devices, 5G will enable a variety of new capabilities, user experiences and devices such as self-driving cars, augmented reality and much more. 5G’s combination of high-speed wireless communications and efficient cloud computing that even the tiniest devices can access virtually unlimited computing power. 5G must be designed to be flexible and scalable, thereby, requiring flatter networks that use a variety of radio access technologies, including cellular, Wi-Fi, centimeter and millimeter waves. Differences Between 4G and 5G? What Benefit Does 5G Offer? 5G stands for “Fifth generation” referring to the latest generation of mobile phone technologies. It is the successor of 4G technology. Currently, there are field tests and pilot programs that advance us what benefits 5G connections will offer us. However, 5G goes far beyond smartphones. This technology will undoubtedly be the soul of the new economy, which will allow, for example, self-driving, an infinite improvement of virtual reality, smart cities, the development of home automation (sensors, thermostats …) and robots that work in the network. The 5G promises to open the door to new surgical procedures, safer means of transport and instant communication for emergency and relief services. The 5G networks will reduce to almost zero the delay time between the devices and the servers with which they communicate. To achieve all that, 5G technology will need to travel on very high-frequency radio waves. Higher frequencies have faster speeds and wider bandwidth. But, they cannot travel through walls, windows or roofs, and they become considerably weaker over long distances. This means that wireless companies will need to install thousands – or perhaps millions – of miniature cell phone towers on top of each lamppost, alongside buildings, within every home, and potentially in every room. Hence, the 5G will complement the 4G, instead of replacing it completely. In buildings and in crowded areas, 5G could provide an increase in speed. But when you’re driving on the highway, 4G may be your only option, at least for a while. This use of spectra allows for an excellent mobility capacity. It is clear that to achieve these spectra it is essential to have equipment that supports this type of technology. Currently, our Smartphones support up to 4G and due to this Qualcomm, who designs chips for mobiles, has developed the x16 modem which will be the heart of high-end equipment and will be able to support connections up to 1GB per second. With the future 5G technology, you can achieve speed where we can download in a few seconds who in 4G would take minutes or even in 3G hours! 2G: It was launched in 1990 and the term GSM was introduced, which improved voice quality, sending SMS, better transmission speed and allowed a speed of 56 Kb per second. 4G: It is the current generation of mobile networks, although in some countries it has not been fully implemented, and with 4G we are satisfied thanks to speed capacity of up to 20 MB per second which allows us to enjoy streaming without problems. As in the rest of the different generations of the connection standard, the main difference (and evident) is an important advance in the data transfer speed. According to the available data, under normal conditions, 5G will be 200 times faster than the 4G connections. We are talking about a figure that goes from 1 to 10 Gbps, but it is not the theoretical maximum since it is about Internet access speeds in movement. If we consider the point of access and receiver stopped, the broadband connection is multiplied to achieve connections of up to 50 Gbps. 5G allows you to download multimedia files of about 800 MB in barely a second while with 4G we speak of an average of 30 seconds. However, speed is not the only great feature of 5G. Its unloading capacity will encourage its use beyond what we do today. The truth is that this volume of download is extremely high, but we have to put ourselves in perspective, facing 2020, the year in which it is expected that the 5G will encourage and promote the arrival of new modes of communication. For example, the possibility of enjoying video calls in three dimensions or through holograms, techniques that will require large bandwidth, is no longer a chimera. We must also consider the arrival of 5G to virtual reality, another possibility that will be possible thanks to another of the technical characteristics of 5G, which is none other than latency. When it comes to energy efficiency, compatible modems are expected to take more care of the battery on future smartphones. On the other hand, future events will have to be expected in this regard. And it is that the greater bandwidth of the 5G will require much higher technical specifications for these devices, especially as regards the processor power and the amount and frequency of the RAM. 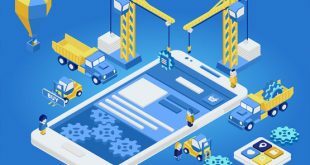 As stated above, not only will the connection speed be improved, but it will also improve connection losses, necessary for the development of new technologies. But downloading videos or movies at high speed is not the only benefit since it would also increase the number of terminals to which each antenna can be serviced simultaneously, without this having an impact on the connection speed, which currently represents a problem in large agglomerations. It would also reduce the latency, which is nothing more than the delay time between devices and servers. With 5G technology, it would be reduced to values close to the millisecond, which would bring great improvements in online games or video-conferences. Although this sounds spectacular, the truth is that a publicly funded 5G project would cost billions of dollars, so it is necessary to invest in several companies, some of which are already working on this technology. The technological evolution does not stop for second and year after year new developments that take it to another level. Ten years ago, it was difficult to talk about today’s robotics, 3D printing or virtual reality, however today we are familiar with these concepts. In 20 years we may be familiar with holograms that transport you (like the Microsoft Hololens glasses), autonomous cars that drive alone (a concept that we see closer and closer), control devices with the mind and eyes, video games powered by the virtual reality, biotechnology that can modify your body, intelligent computers with autonomous capacity and neuromorphic chips, quantum computing, communication without barriers in different languages or the standardization of 3D (or 4D) printers. The latency of one millisecond; remember that latency is the time it takes to go the information from origin to destination, which will allow a noticeable improvement in communication. The 5G networks will use the security standards SE, HSM, OTA and KMS in order that the information sent will not be attacked. Together with IPv6, IP addresses will be assigned according to the connected network and geographical position. With this new technology, the speed of downloading videos on our Smartphone is going to be really incredible, but the thing is not reduced to this only. Mobile networks will make a leap into the future and begin the evolution of communication between machines. 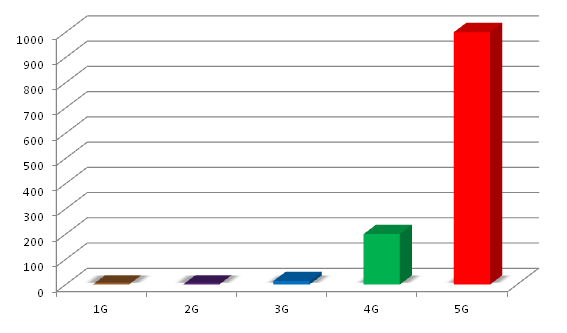 With 5G technology, mobiles will only be a small part of the devices that are connected. As of 2020 it is expected to see cars, wearables, security camera sensors and even lamps and appliances connected. We can connect all types of devices to each other in our home. With these features, 5G will undoubtedly revolutionize the way we surf and use the network today and everything is due to the remarkable growth that mobile services have. A vital point of the 5G networks is its ability to provide access to all the devices located in the connection range, and best of all is that the channels will not be saturated or we will see the drop in frequent errors of signal, etc. As we have mentioned the projection to implement 5G is the year 2020 but it is possible that due to the geographical structuring of devices and spectra these delays a little more. The 5G technology revolution will arrive in 2020 and will turn us into a hyper-connected society, which will most likely affect our way of life and relate to us. 5G performance targets high data rate, reduced latency, energy saving, cost reduction, higher system capacity, and massive device connectivity.